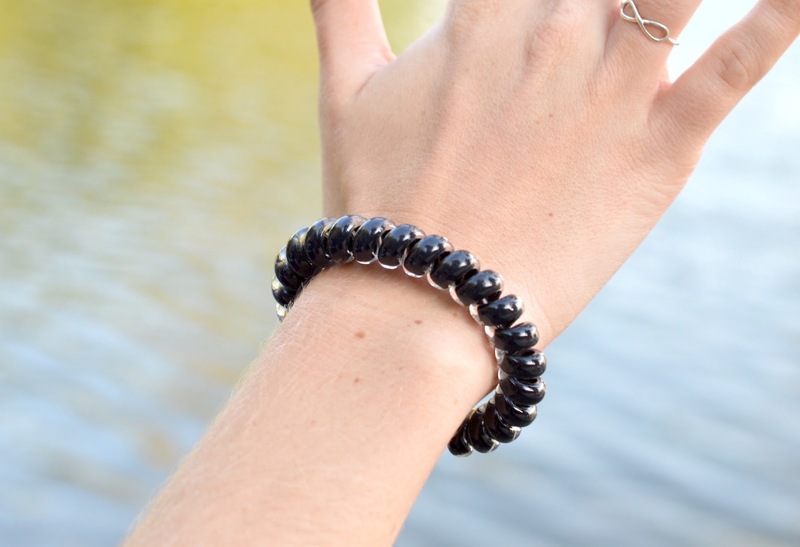 My hair fluctuates from a short bob to a long-ish cut, so I've been using coil hair ties on and off throughout the years. It's hard to find a really good brand of these particular hair accessories since low-quality plastic will stretch out and snap in the cold, proving to be pretty useless in Canada. These are fun, cool and totally reliable for all types of hair. They don't tug, they hold well and they look awesome. I love that even though I have my hair up, they don't leave the dreaded straight line dent around your head when you remove it. The small hair-toned coils are perfect for blending right into your 'do when you want to achieve a more subtle look. 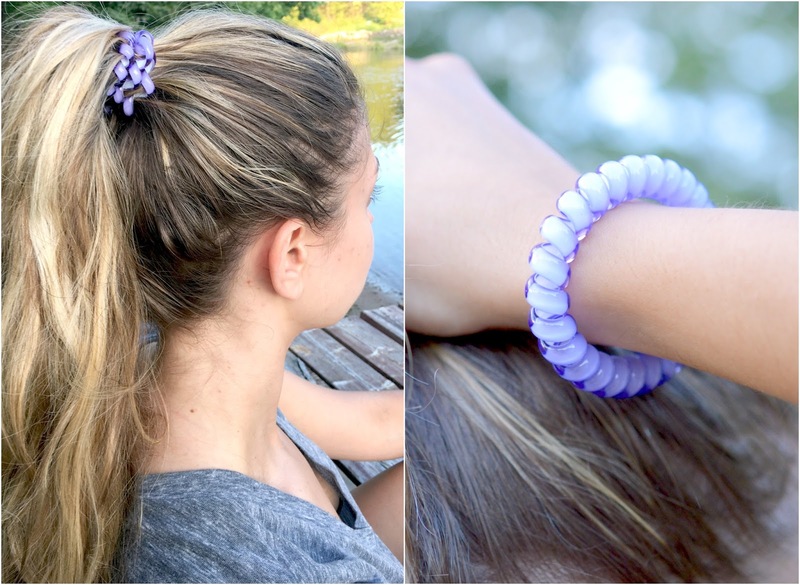 These hair ties seem to be almost identical to the invisibobble, which you can find at Sephora and Urban Outfitters. They cost around the same at 3 for $10, though I do appreciate that the Hair Slinky brand is based in Canada and really stands behind their product. Better yet, I haven't seen anything as funky as the large purple Hair Slinky modelled by Lisa, below. Lisa has beautiful thick dark hair while myself and Lauren (4 images above) have lighter, thinner hair. I definitely prefer to use the Classic 3-for-10 collection since they easily grip my short hair into a cute, casual pony. 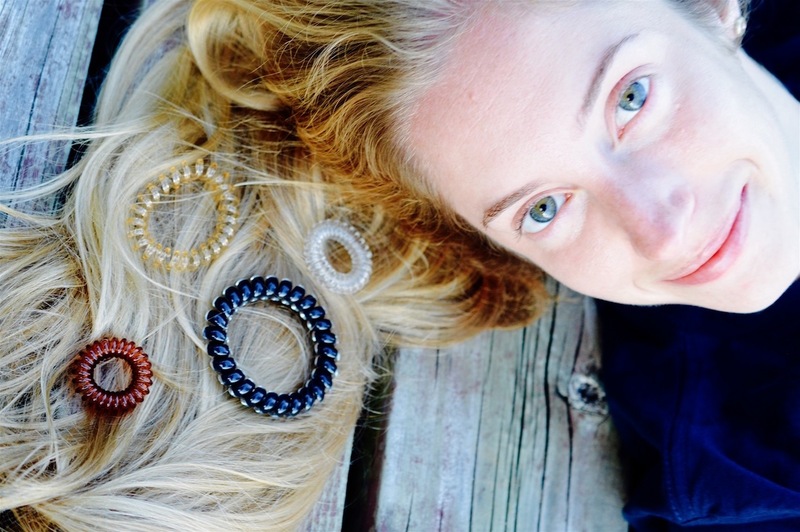 Overall, these hair ties are a complete hit and I can't wait to pick up some more to throw into presents during the holidays. Nothing beats the beautiful colour range, and reliable quality. Top tip: if your Hair Slinky stretches out, drop into some boiling water. It'll spring right back into shape! 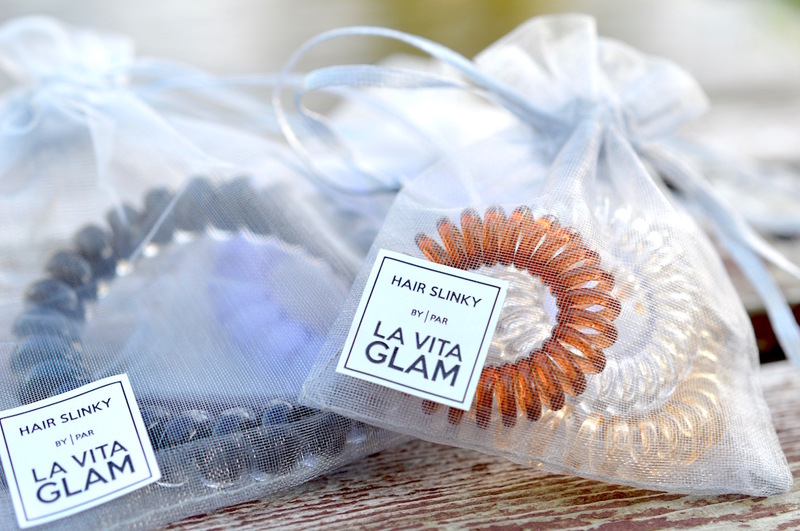 Follow along to see more about the Hair Slinky on Instagram and Twitter.